Many organisations simply have no idea how much their devices are costing them in terms of running costs, servicing, maintenance, consumables replenishment and resource wastage — but managed print solutions can help. A Gartner group estimate puts the average cost of office printing at around 1-3% of an organisation’s total turnover. As an example, that’s between £100,000 and £300,000 a year for a company that has a £10m turnover. Office printing equipment has a required outlay of running costs, servicing, consumables, resource wastage – and when something’s used daily by numerous people, the cost is easy to lose track of. 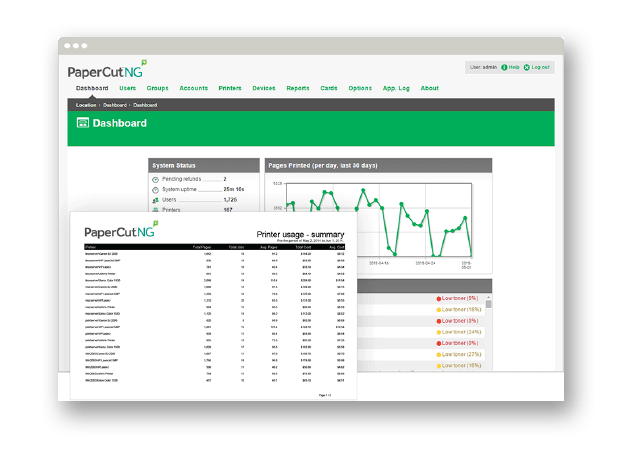 Our managed print solutions include one-click reports which show you at a glance which users, departments and devices are the highest costing. Our bespoke managed print solutions are specifically designed to give our customers control over how, when, where and by whom their office printing equipment is used, through rules-based printing which enforces mono and / or duplex print for certain users, departments or document types. One of the key features of our managed print solutions is the ability to send a print job to any printer on the same network. For convenience — the print can be collected from any printer, either the closest, one that isn’t busy, or one which meets specific quality or finishing requirements. For confidentiality — the print can only be collected by the person who requested it, via various authentication methods. 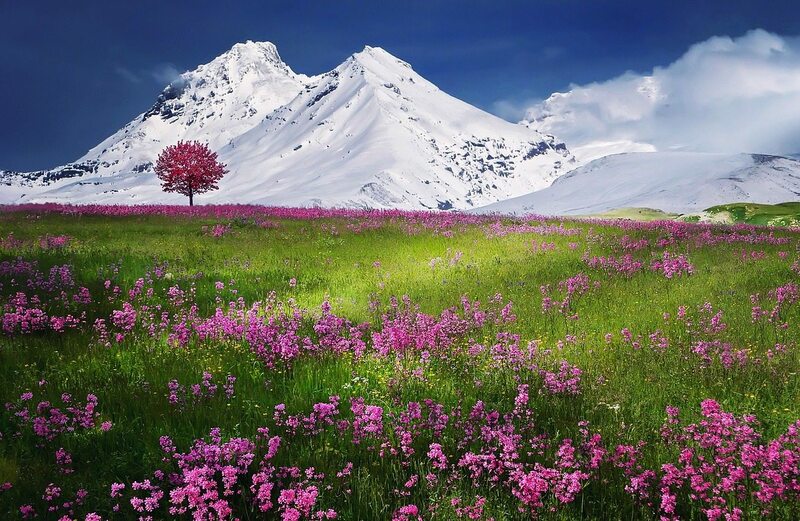 For cost control — the print can be remotely cancelled if no longer required and will not be printed unless claimed. How will a managed print service streamline our activities? In a number of ways. Rather than having a suite of devices of varying ages, from different manufacturers and in various states of repair, we'll outfit you with a fleet of new, energy-efficient, high-quality print equipment. 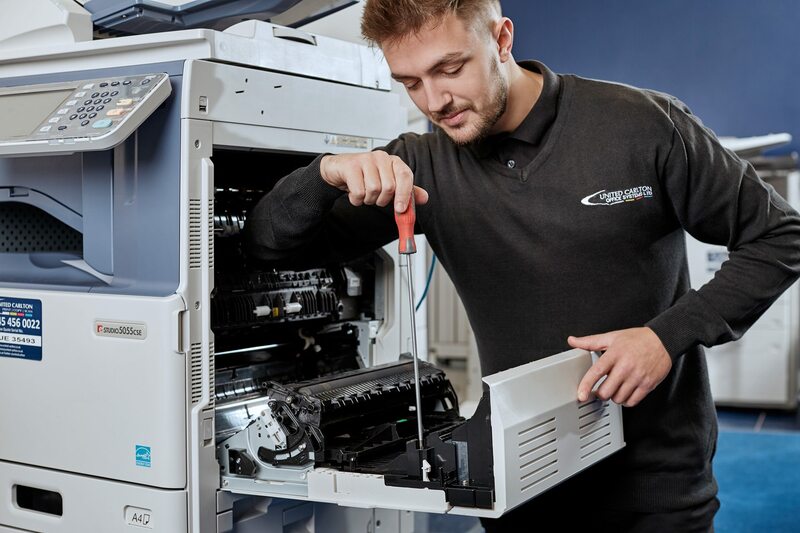 We'll take over the maintenance and toner replenishment, saving your staff from the potentially troublesome task of sourcing consumables and parts from aged machines. Consumables are delivered before you require them, thanks to remote monitoring software which arranges despatch of new toners when yours are running low. And with a consolidated monthly bill and fixed cost-per-copy, you'll finally have a clear picture of how much your document production is costing. How much control will our organisation have over our printing costs? You'll benefit from full insight into your organisation's print activities, with powerful yet user-friendly reporting software. One-click reporting functionality lets you keep tabs on how, and how much, your employees are printing - you can use this information to implement simple rules-based cost control system, such as defaulting to duplex and / or mono for certain users or document types, and restricting colour print to those who need it. An area where you will definitely see an improvement is the reduction of waste. Our solutions are proven to decrease wasted print by not printing a job until it is claimed at the machine by the user, so unclaimed, duplicate and unwanted jobs are never produced. Yes. By requiring users to authenticate themselves in order to claim a print job, using your company's existing door entry cards, fobs or biometric info, our software enhances security as no jobs are printed unless claimed. Only the user who printed the job is authorised to claim it, so there won't be any instances of confidential documents being left on the printer for all to see. What are the likely savings? In the first instance, we would carry out a full print audit to establish the true costs of printing within your organisation. Armed with this information, we can then formulate a savings plan based on your company goals and objectives. Will United Carlton be responsible for supplying replacement consumables? Yes - consumables are included in your contract cost. Our automated monitoring software ensures that consumables are automatically dispatched to arrive at your premises well in advance of them being needed. Can United Carlton provide service to all of our print devices? We can supply cover for third-party devices however this would generally be discussed and agreed following a print audit and consultation. 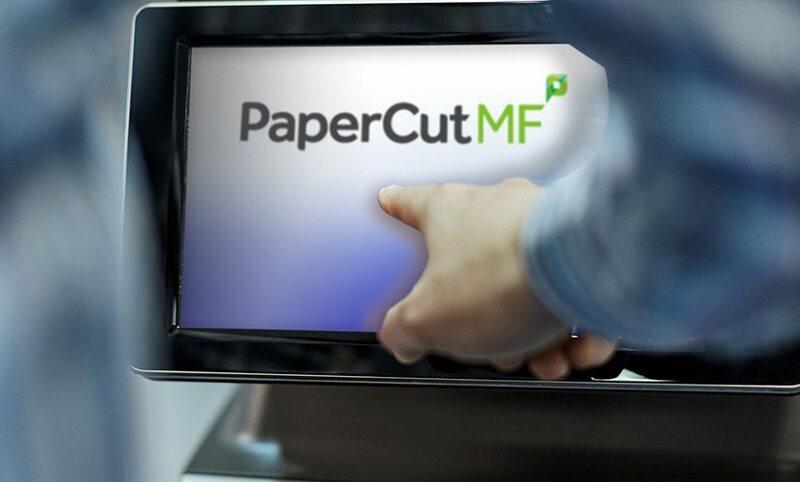 This video describes the benefits of our bespoke managed print solutions, from increased accessibility, mobility and security of documents, to enhanced employee productivity, and how we work with you to provide a solution which meets your needs and firs your organisation. It’s often the case for companies to have have a mixture of device types (desktop / multifunctional) of varying ages, manufacturers and models. 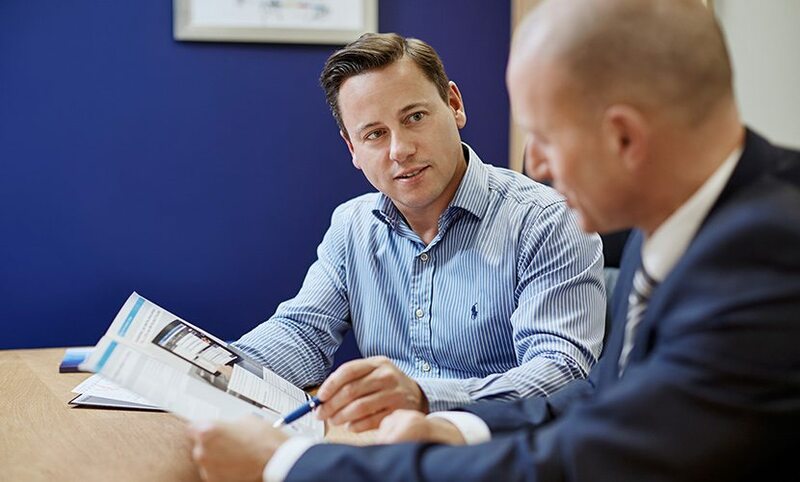 United Carlton, and your dedicated account manager, will become the single point of contact for the management of warranties, servicing and maintenance, and replacement consumables. One MPS partner, one invoice, one point of contact – freeing up your employees to concentrate on your organisational goals. United Carlton supply a range of software solutions which will give you unprecedented levels of visibility of your organisation’s print behaviour and costs. As well as managing print activity to ensure that it runs smoothly, we also record every print action made by various departments, printers and people, at various dates and times. The print activity report shows patterns of behaviour which, in turn, allows our customers to clearly see areas of potential saving. 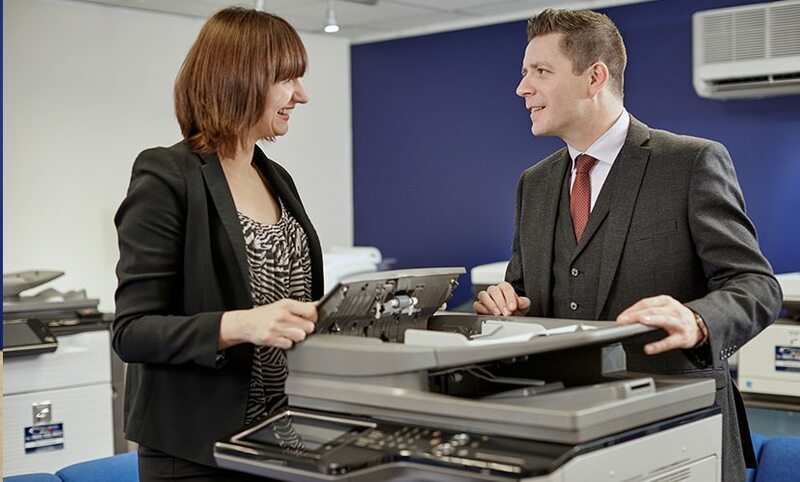 United Carlton’s bespoke solutions allow users to send their print jobs to a print server, and collect them from any printer on the network, for the ultimate in mobility, security and convenience. Using any existing company authentication procedure (username & password / door entry card or fob / biometric), users must authenticate themselves to collect their print. Without authentication, the job is never printed; confidential documents will never be left lying on the printer, and no-longer-wanted jobs can be deleted, reducing waste and resource consumption. Our software proactively maintains the consistent up-time of your devices by ordering replacement consumables before they’re needed for just-in-time delivery. Our software can also remotely diagnose issues before they occur, with routine preventative maintenance keeping your printers healthy. 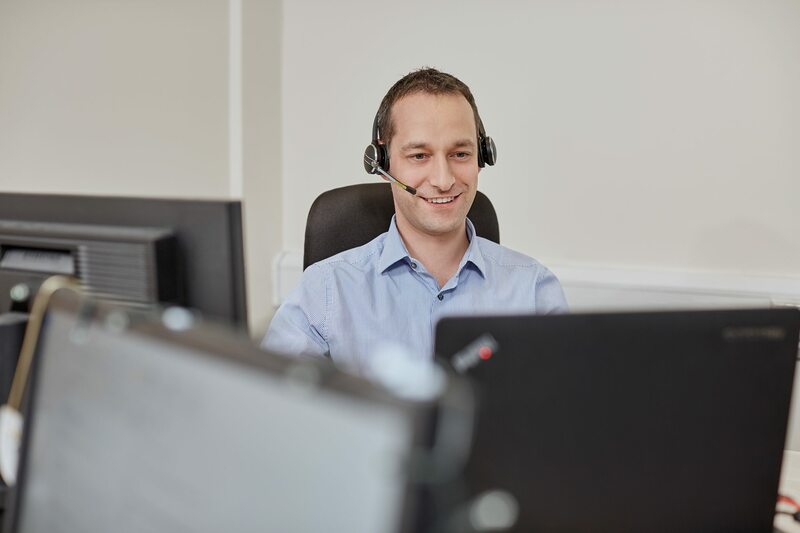 In an emergency, we have a service call response time of sub-four hours on average, with our engineers fixing 95% of issues on the first visit. Did you know that the average office employee works their way through 10,000 sheets of paper per year? It can take up to 60% of a tree to make a single case of paper, so each employee is using an average of 1.2 trees per year. If your organisation is looking to achieve or maintain ISO14001 certification, optimising print usage is an excellent starting point. To further enhance our eco-friendly credentials, we offer toner cartridge recycling services in partnership with our service provider eReco, and will recycle, or dispose of, your aged print equipment in a WEEE-compliant manner.